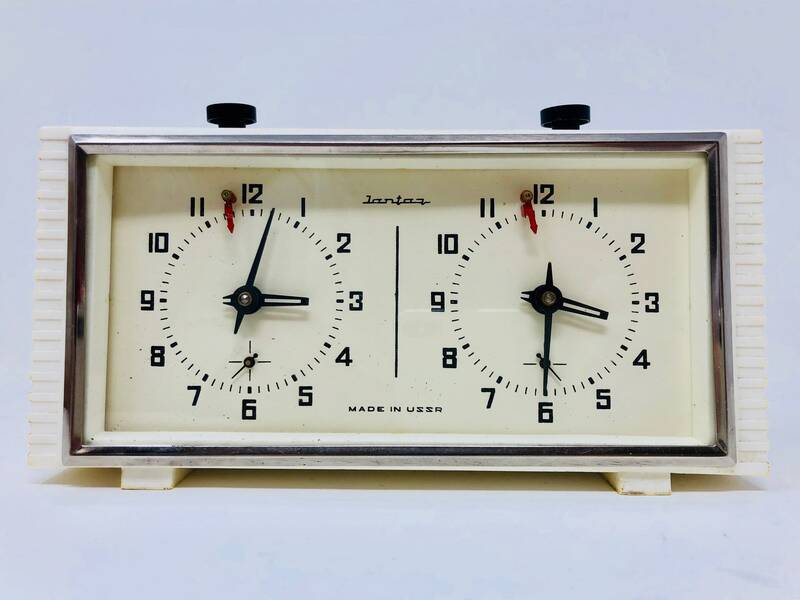 Clock of the former USSR brand Jantar. 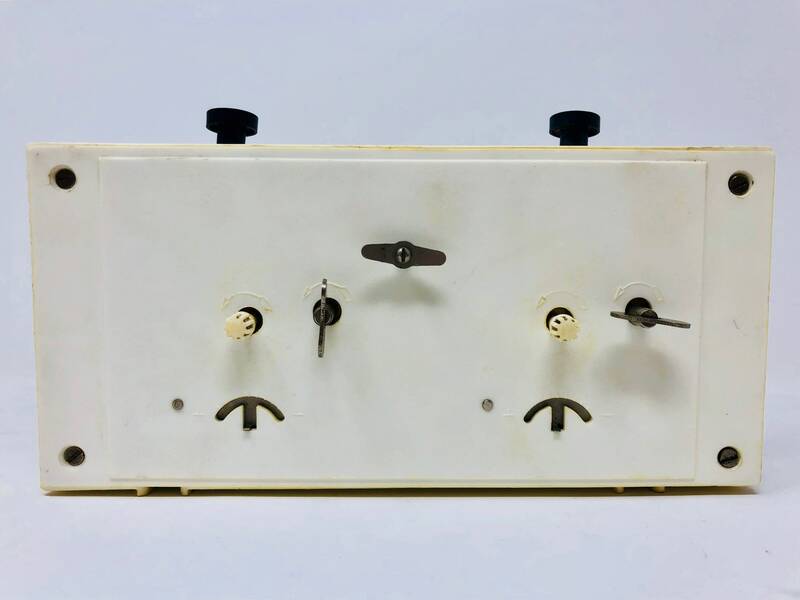 A vintage chess clock that marked a time since the 60s. Very used in clubs of the former USSR and many of the models were sponsored by the great Soviet masters of the time. 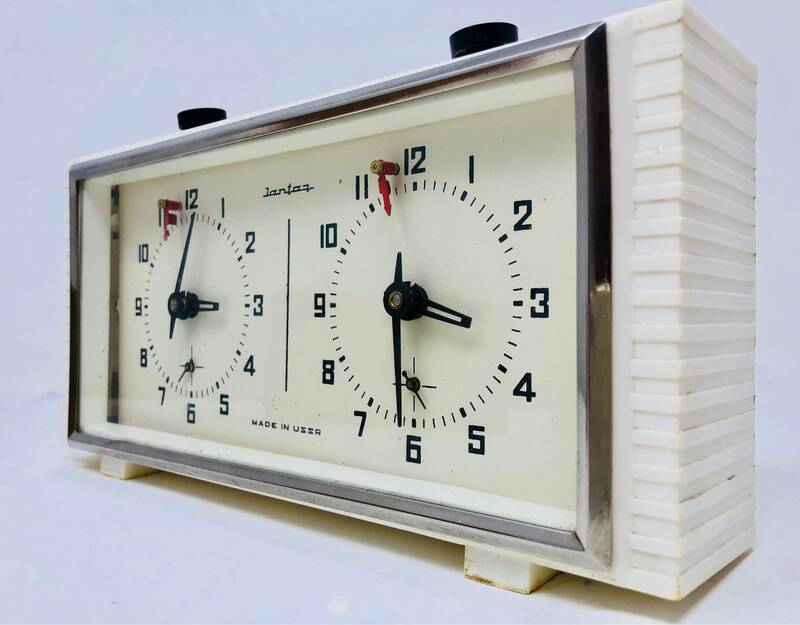 Automatic white Bakelite watch in good condition. Measures: 21.5x12x5cm.